WASHINGTON, DC, May 1, 2018 (ENS) – Today, 17 states and the District of Columbia filed a lawsuit challenging the U.S. Environmental Protection Agency’s move to weaken emissions standards for cars. The lawsuit accuses the agency of failing to follow regulations and violating the Clean Air Act with its plan to roll back Obama-era mileage regulations on vehicles. In April, EPA withdrew its prior decision to retain the 2022-2025 automobile greenhouse-gas standards, prompting the lawsuit. 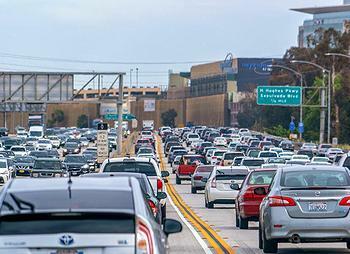 Moving to curb toxic air pollution and improve car gas mileage, California Governor Jerry Brown, California Attorney General Xavier Becerra, and the California Air Resources Board today announced that they are leading the coalition in suing the EPA to preserve the nation’s single vehicle emission standard. “The evidence is irrefutable: today’s clean car standards are achievable, science-based and a boon for hardworking American families. But the EPA and Administrator Scott Pruitt refuse to do their job and enforce these standards,” said Attorney General Becerra. “Enough is enough. We’re not looking to pick a fight with the Trump administration, but when the stakes are this high for our families’ health and our economic prosperity, we have a responsibility to do what is necessary to defend them,” Becerra said. “The standards we are fighting to protect were adopted in 2012 and don’t take effect until 2022. They were a lifeline thrown to an industry that was in trouble and desperate for stability,” said CARB Chair Mary Nichols. “They were based on the best judgment of engineers about what technology could achieve. And in fact they are being achieved today, years ahead of the deadlines, because of the good work of the auto industry,” she said. 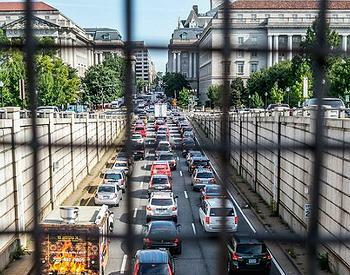 The states’ lawsuit, filed in the U.S. Court of Appeals for the District of Columbia Circuit, seeks to set aside and hold unlawful the EPA’s effort to weaken the nation’s existing clean car rules. The lawsuit is based on the argument that the EPA acted arbitrarily and capriciously, failed to follow its own regulations, and violated the Clean Air Act. The Institute for Policy Integrity at New York University School of Law, a non-partisan think tank, has released a new report analyzing EPA’s decision to withdraw the standards. The report finds that EPA’s basis for withdrawing the standards is not grounded in fact or in economic analysis. The report, “Analyzing EPA’s Fuel-Efficiency Decisions” was authored by Bethany Davis Noll, Peter Howard, PhD, and Jeffrey Shrader, PhD, of the Institute for Policy Integrity at New York University School of Law. For example, EPA cites factors such as lower fuel prices and concerns about the growth of electric vehicles as reasons to reverse its earlier decision, but both fuel prices and electric vehicle sales are in fact rising, the NYU report points out. The federal standard the states are suing to protect is estimated to reduce carbon pollution equivalent to 134 coal power plants burning for a year and to save drivers $1,650 per vehicle. The car industry is on track to meet or exceed these standards. Joining California in filing today’s lawsuit were the attorneys general of Connecticut, Delaware, Illinois, Iowa, Maine, Maryland, Massachusetts, Minnesota, New Jersey, New York, Oregon, Pennsylvania, Rhode Island, Vermont, Virginia, Washington, and the District of Columbia. This coalition represents approximately 43 percent of the new car sales market nationally and 44 percent of the U.S. population.